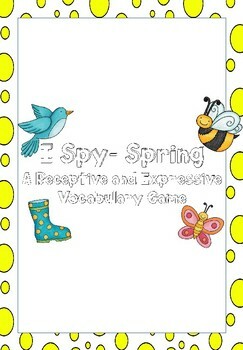 Your students will love learning spring-themed vocabulary with these I Spy sheets! 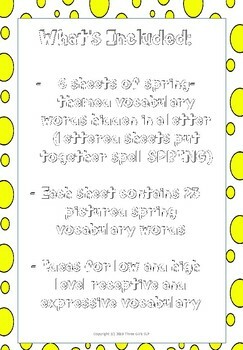 This download includes 6 sheets of spring-themed vocabulary words hidden in a letter (lettered sheets put together spell SPRING). Just slide them into a page protector and you are ready to go! 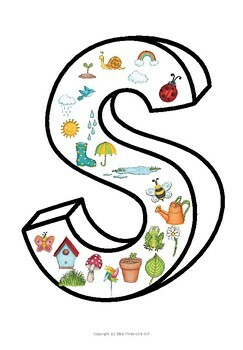 Have students use dry erase markers to color over their pictures, coloring in the whole letter. 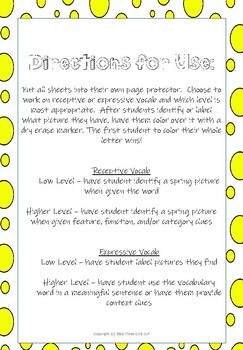 Activity ideas for low and high level receptive and expressive vocabulary included. Enjoy!